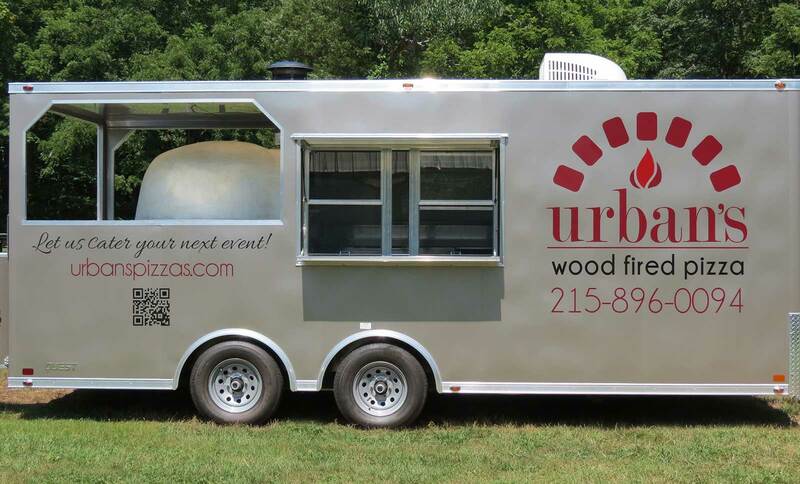 Is a fully enclosed mobile kitchen which meets all federal, state and local health code standards. For events, we like to arrive at the site approximately 60-90 minutes prior to set up. The coach is large, so we’ll need at least a 30’ x 20’ space to park. On board, we have two large storage compartments for tables and chairs, and enough room on board to store an entire cord of wood. The interior is all aluminum for ease of cleaning and includes a stainless steel three-bay sink and hand-washing sink. Also, we have a large refrigerator for drinks and prepared food items, and a small freezer for the ice-cream, gelato, or sorbet of your choosing. 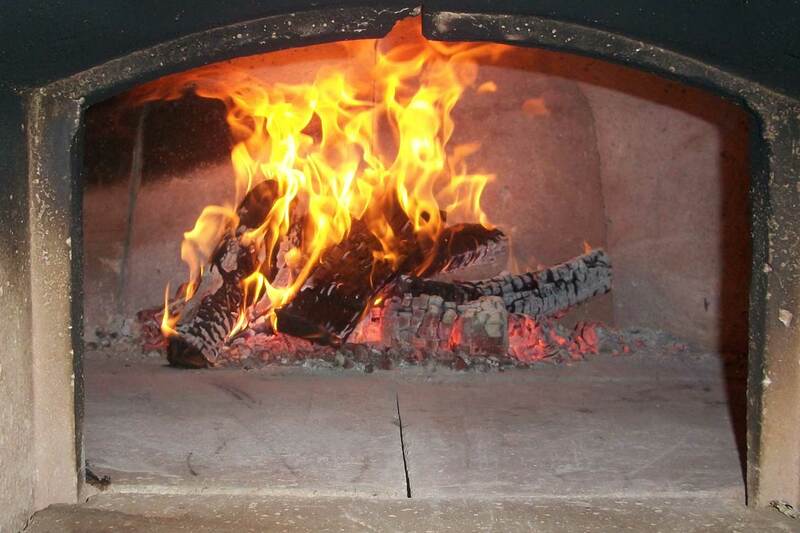 Our oven was created by Bel Forno, designed in the Italian tradition using only the finest refractory ceramic materials to hold heat for long periods of time and provide superior cooking results. We have easily reached temperatures over 900 degrees on the hearth, though we’ve found cooking our pies at around 800 degrees gives us the result we’re looking for. 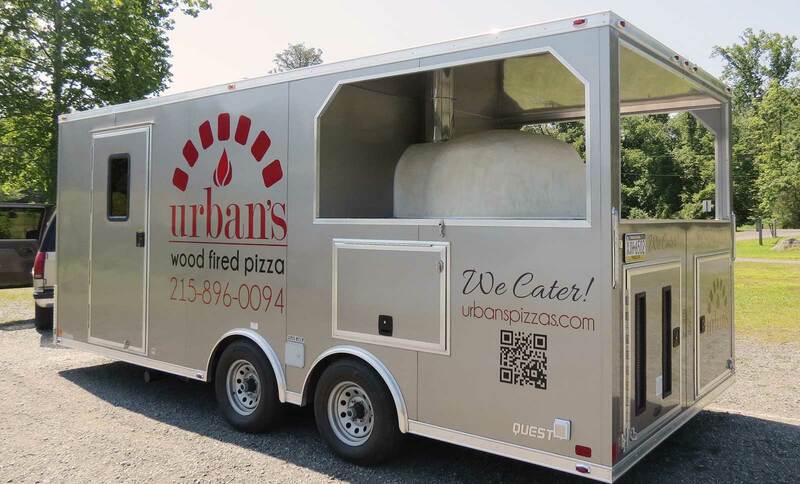 We’d like to thank all who were involved in the creation of our pizza coach, especially Chad Hacker Construction Services LLC for the completion of the masonry work of the oven exterior. If you’d like to get a better look for yourself, head to our Facebook page and check out some of our photos.